We are all cousins, we just need to discover how. My name is Ken Wagner. My great grandmother is Rebecca Jessee Weddle, daughter of Jacob and Nancy (probably nee CHILDS) Jessee. Nancy and her children can be found in the 1850 US census in Knox County Tennessee with her name spelled Jessey. I have found the family in the 1840 census in Knoxville and have determined that Jacob died between Feb 1848 (youngest child born 26 Oct 1848) and before 02 October 1848 when there was probate action dealing with his estate. The records show that he died intestate. I have fairly confidently identified all six(6) of Jacob and Nancy's children as well as Nancy living in Indiana after 1850. 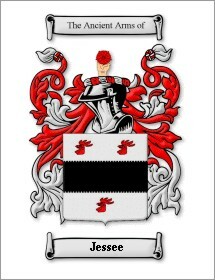 The only "Jacob Jessee" that I can identify in the Jessee Family Database is the son of David Jessee and Catherine "Katie" Banner born in about 1813 with no other information shown. I am reasonably confident that my ancestors descend from Jacob and Nancy Jessee who lived in Knoxville, TN, during the 1840 and 1850 US census. However, I do not have a positive connection between my Jacob and the one in the Jessee Family Database. Jacob's birth date of about 1813 in the data base and Nancy's birth date of about 1815 in Virginia certainly suggest that the possibility exists that they could have been married. If anyone out there in Jessee-Land has any better information that would help me tie my Jacob to the only one in the Jessee Family Database, I would love to hear from you. If you would prefer to email directly to me, my address is kewagner61@cox.net.